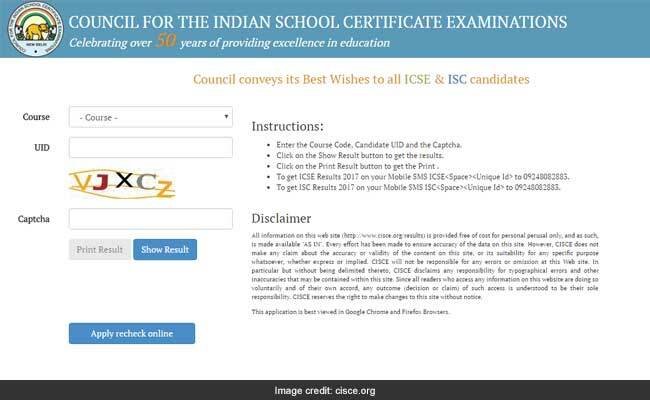 CISCE has announced the result for ICSE (class 10) and ISC (class 12) result on the official website. Students who appeared for the class 10th or class 12th board exam conducted by the Council for the Indian School Certificate Examination can check their results now. CISCE has announced the result for ICSE (class 10) and ISC (class 12) on the official website. Students who appeared for the class 10th or class 12th board exam conducted by the Council for the Indian School Certificate Examination can check their results now. The result was declared in a Press Conference held at the Council's office in Noida, Uttar Pradesh. Continuing the past year trends, girls have outshone the boys in ISC results. Though, the CISCE website which hosts ICSE and ISC results crashed for some time after the results declaration, the facility is back now. The total pass percentage is 96.47% in ISC. CISCE has declared results of total 988 ISC schools. 98.53 per cent students passed class 10, ie, ICSE. 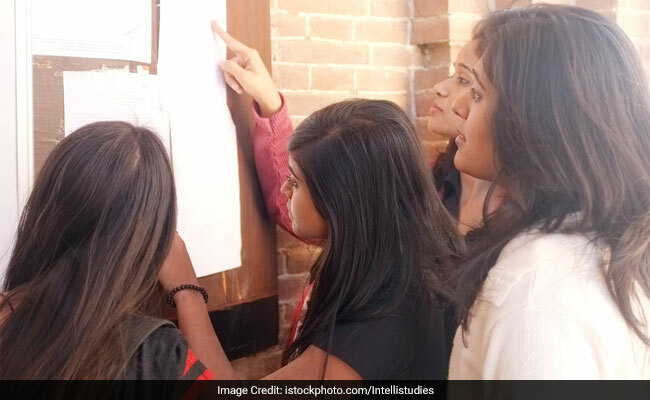 Kolkata Girl Ananya Maity has emerged as the ISC class 12 all India topper with 99.5 per cent and Pune's Muskan Abdulla Pathan and Bengaluru's Ashwin Rao have jointly topped the ICSE Class 10 exams with 99.4 per cent each. ICSE (Class X) and ISC (Class XII) Examination, 2017, showed a marginal increase in pass percentages over the previous year's results, said Gerry Arathoon, CEO of the Council. 73,633 candidates appeared for the exams in In class 12 this year. Students registered with the council will also have the facility to download digitally signed mark statement and passing certificate from the Government of India's DigiLocker facility which has been introduced by the Council from this year. Where can you check CISCE class 10 and class 12 board result? The result has been declared on the Council's official website. Students only need to click on the results tab on the home page. How to check ICSE and ISC result 2017? Step two: Click on the link Results 2017. Step three: Click on the relevant result link, i.e. ICSE/ISC. Step four: Enter your Unique Id and captcha code on the screen correctly. How to get ICSE and ISC Result on SMS? Type ICSE<space>Seven digit unique id and send it to 09248082883. Type ISC<space> Seven digit unique id and send it to 09248082883. CISCE which conducts class 10 and 12 examination today said it waited for the CBSE's decision on the moderation policy before declaring its results today. Last year, the ICSE and ISC results were declared on May 6. However, this time the CISCE attributed "some" delay to the elections in five states -Punjab, UP, Manipur, Uttarakhand and Goa - due to which the exam schedule was delayed, reported PTI.